Posted April 24, 2014 by Eric Graham . One of the biggest challenges for any company with a website and a blog is creating new and compelling content that will not only engage your readers, but give them something useful that they can use. If you are an e-commerce store, publish articles about how to use the products you sell. If you are a marketing company like us, publish useful marketing information that your clients, and future clients can use. The key is to give people, and the search engines, good and useful information. from prospects before they make a purchasing decision. 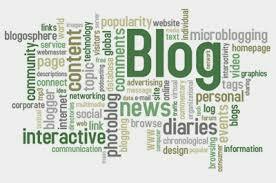 back as topics for different blog articles. the article sharing the link to your new post. trending topics as ideas for blog posts. developments in your industry, and blog about them. ways to get traffic to your blog from LinkedIn Answers. some tips and tricks when recruiting people to write guest blog articles. 8. Use numbered lists. Create numbered lists of top ideas, trends, or opinions related to your industry. 9. Provide useful lists. Publish an educational list of links that relate your industry and business. create a “how to” guide or checklist. tradeshow, event, or customer experience. articles. When it’s syndicated, it will still include those links back to your blog articles. video. Be sure to embed the video into your blog article using YouTube’s video embed code. 15. Incentivize blogging for coworkers. Use an incentive to get company employees to start blogging. 17. Elaborate on FAQs. Take your FAQs website page and turn each FAQ into a separate blog article. worksheet to create five articles. quote them in the post you write. If you have questions or need help with your blog writing or anything surrounding online marketing, please contact our team at http://www.longtermfix.com/contact-us/ or call us at (303) 703-8000.